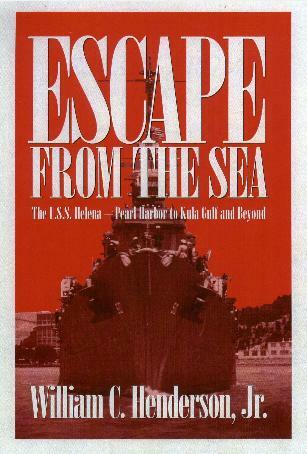 Bill Henderson author of "Escape From the Sea", the story of the USS Helena CL50, has received so many requests for his "out of production book" that to meet the new demand it is available again. The book has been re-printed on 8 1/2 X 11 inch 20# paper. It is spiral bound and easy to read. The price is $39.95 plus $3.25 s/h. And I will be glad to autograph it.